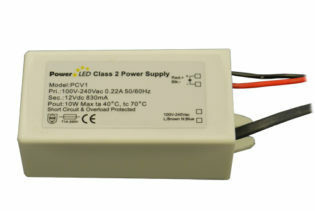 UVC50TD Series 50W mains dimming Triac LED Lighting Power Supplies of Constant Voltage operation. 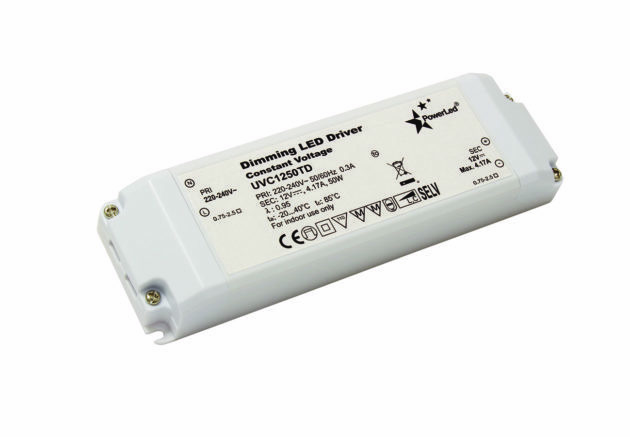 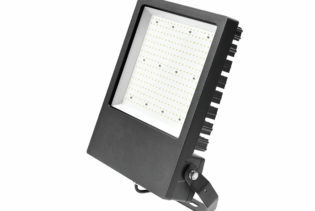 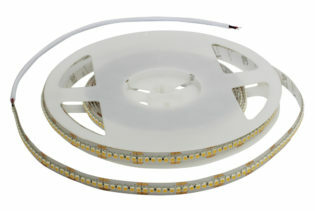 Ideal for use with LED replacement down lights where its not viable or possible to re-wire for 1-10Vdc functionality. 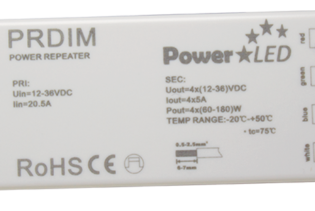 UVC50TD Series are a range of 50W triac dimming LED lighting power supplies, available in 12Vdc and 24Vdc output options. 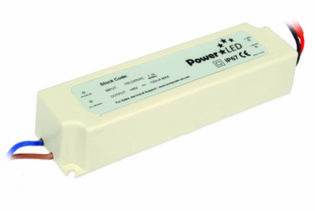 This range is a constant voltage design operating at small dimming loads, with 220-240Vac input voltage and dimming capability of 10% to 100% of load. 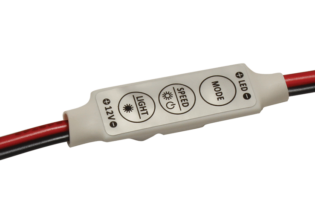 PCV50TD Series has push terminals for easier installation, PFC circuitry, high efficiency circuitry, is mains dimmable and is designed to work with leading /trailing edge triac dimmers. 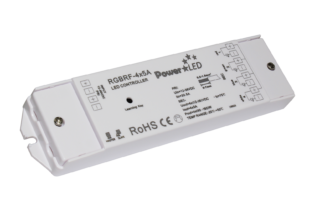 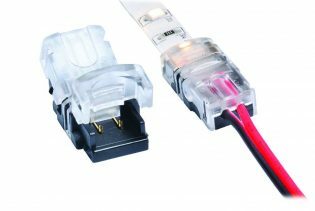 Featuring a fully isolated design enabling compatibility with a wider dimming range and also enclosed in a fire resistant plastic case with an IP20 rating, this allows for installation in domestic, commercial, retail and industrial applications. 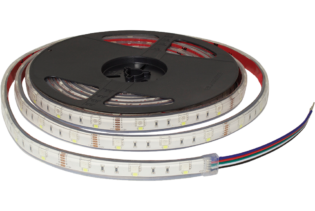 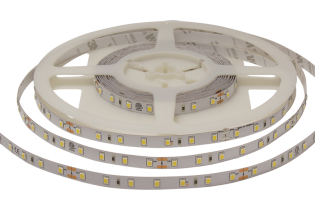 UVC50TD Series incorporate short circuit, over current and over voltage protections and are ideal for retrofit applications as no extra wiring is required; they are also particularly ideal for LED replacement downlights where it’s not viable or possible to re-wire for 1-10Vdc functionality. 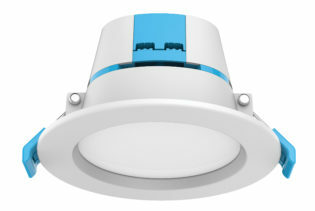 The UVC50TD series are supplied with a 2 year warranty.